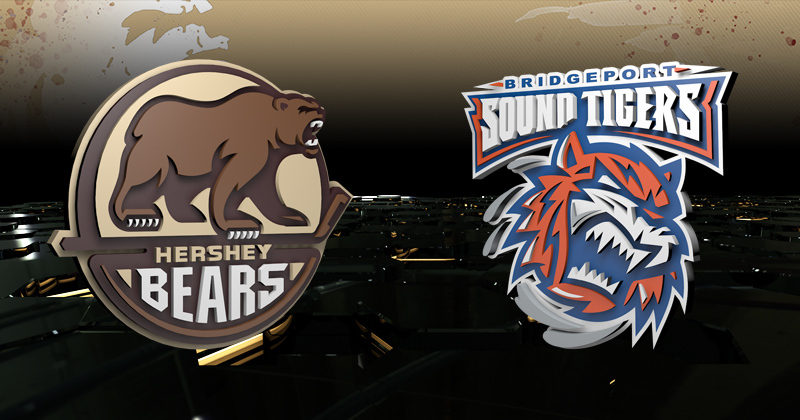 Bears Game at Bridgeport Moved to Monday, Jan. 21 at 1 p.m.
01/18/2019 - Due to the pending inclement weather, the Hershey Bears and the Bridgeport Sound Tigers have announced a change in schedule for their match-up originally slated for Sunday, Jan. 20 in Bridgeport. The game will now be played on Monday, Jan. 21 at 1 p.m. at the Webster Bank Arena. Monday's contest will air across the Bears Radio Network, and may be viewed live via AHLTV. Pre-game coverage is set to start at 12:30 p.m.